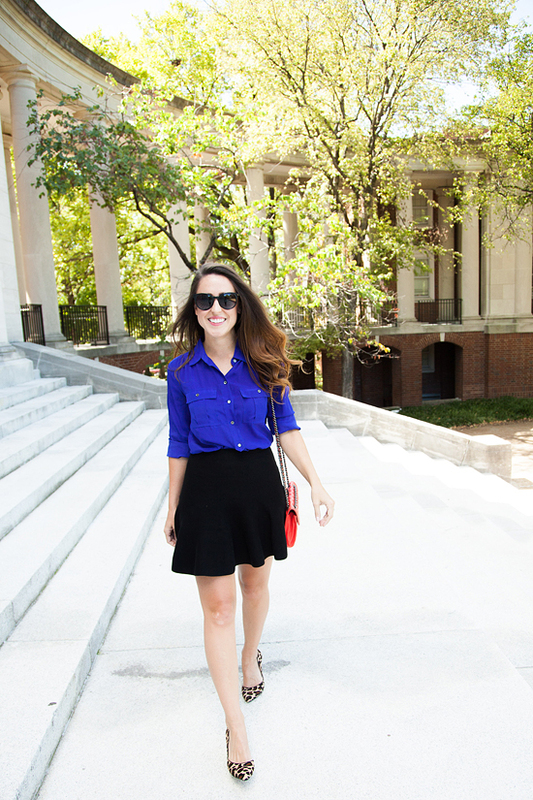 My Fall/Winter skirt wardrobe centers around versatile black skirt options. 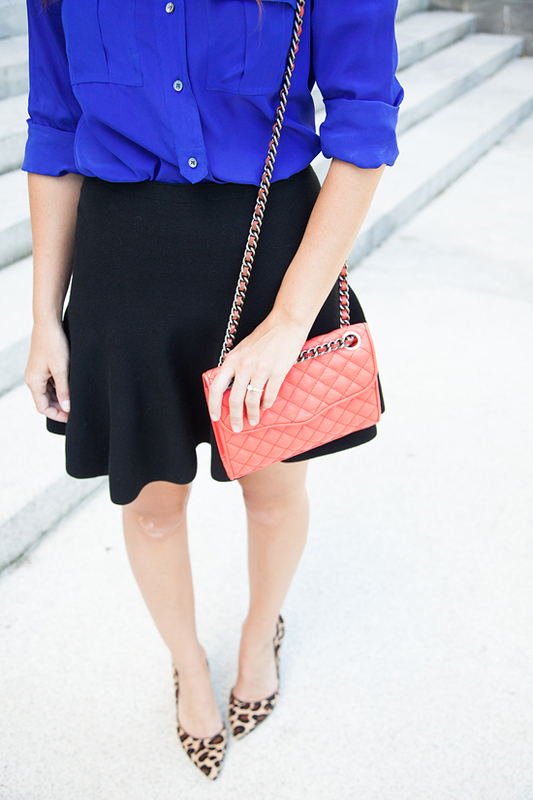 I'm loving this faux leather skirt or this slighlty longer midi option! And don't even get me started on the suede fringe number that is totally calling my name! Bloggers Who Budget is baaaack! 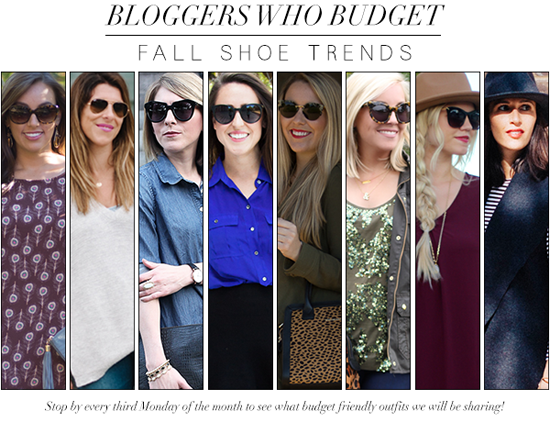 This month we are teaming up with Sole Society to show you some budget friendly Fall shoe trends! Leopard is pretty much a year-around staple in my closet, but it is extra luxe to add a punch of spots to your cooler weather outfits. These leopard heels have a low wedge and comfortable pointed toe, making them all day favorites - even when I'm teaching!